Thoughtful planning gives our developments a village-like atmosphere that neighbourhoods always had in the past. Through encouraging organised events, encouraging community engagement and creating social meeting spots, we design places that bring people together and help them belong. Our resident welcome program will help you feel like you’re part of the community in no time at all. You’ll receive a welcome kit, which gives you a range of useful local information, including details on schools and education facilities, community groups, emergency services, transport and recreation facilities. You can also help shape Mayfield’s future by participating in our welcome survey once you settle in. The survey helps us to understand your needs, enabling us to plan future facilities and programs to suit everyone in our community. As Mayfield grows, you’ll have the opportunity to meet people with common interests, whether it’s through a sporting group or just meeting regularly for a cup of coffee with new friends. Mayfield are also the proud sponsors of the Cranbourne Eagles Football and Netball Club. 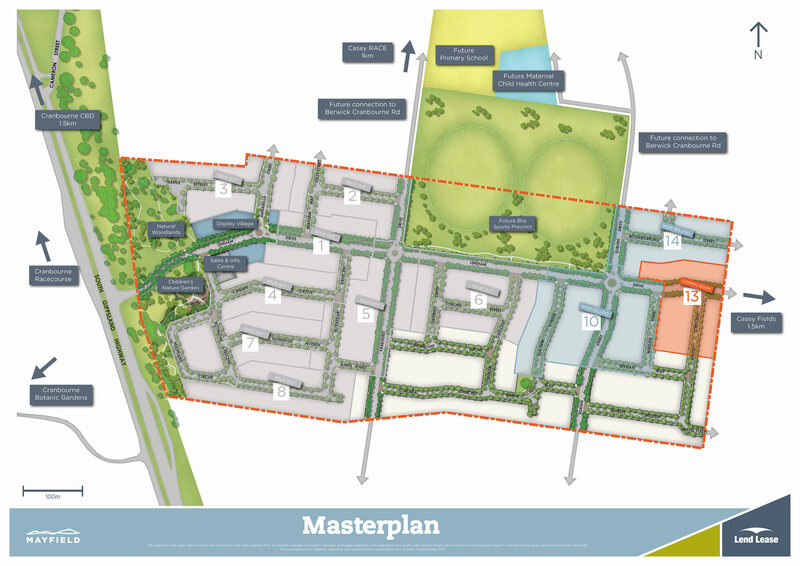 This allows new residents at Mayfield to easily get involved with the existing sporting community and stay connected with activities in the local area. With the Cranbourne Eagles’ home ground based just down the road at Casey Fields, an active lifestyle is right on your doorstep.